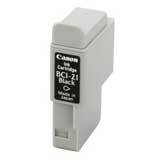 Premium Quality 0954A003 Black Inkjet Cartridge compatible with the Canon BJC 2000, 4000, BJC 5000, 5100, 5500 Also fits some Apple, Calcomp, Mannesmann, Nashuatec, Panasonic, Rex Rotary, Ricoh, Saven, and Selex. The use of compatible supplies does not void your printer warranty. Premium Quality 0955A003 Tri-Color Inkjet Cartridge compatible with the Canon BJC 2000, 4000, BJC 5000, 5100, 5500 Also fits some Apple, Calcomp, Mannesmann, Nashuatec, Panasonic, Rex Rotary, Ricoh, Saven, and Selex. The use of compatible supplies does not void your printer warranty.